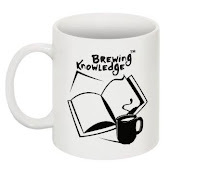 Brewing Knowledge: Should it be money or should it be respect ? Should it be money or should it be respect ? Life is a rat race and it’s a dog eat dog world out there. Sounds familiar? Isn’t this what is thrown to our faces in some form or the other almost every single day? This has turned into the success mantra and anyone with any practical sense out there will say this to you and also remind you of how the most important thing in life is minting the green bucks. So I’m going to show you the flip side and show you the impractical way to achieving what you want. Lets first start with uninstalling the regular application of “ you need money to be happy in life”. What you really need to be happy in life is to have people respect you and know that you have earned that respect through your actions. I do not discount the importance of money and agree that it definitely is essential for survival. What people forget is that money is just a means to an end. Maybe it is possible to earn that money through walking a slightly longer and far healthier path, which will require one to earn respect. What is now very common in the so-called “dog eat dog world” is that the goals are no longer right. People are no longer working towards what really matters and have forgotten that at the end of the day what makes all the difference is whether or not you are happy. We all know dozens of examples in our personal lives of people who have all the money in the world but just aren’t happy. It simply means that all their money failed to buy them the respect that would have made their lives a more positive and satisfying experience. Very often obedience due to fear is mistaken for respect. Respect doesn’t mean just diving to touch feet every time you approach an older person. Similarly it isn’t anyone’s birthright to be respected. The taste of having earned the respect of another human being is delicious. You want to be a good leader you have to earn respect. The joy of knowing that you are being heard because you are respected as compared to people being afraid of you is what will propel you into working harder and becoming a better leader. If you are a respected leader you will naturally be good at what you do and with that will come the achievement that will bring you the rest. Money will follow you instead of you following money. So you’ll still earn what you want just with a lot more happiness. Pretended respect that is commanded by fear will just bring negativity into your life. If you intend to turn your life into a positive experience then there is absolutely zero room for negativity of any form. As I always say a good leader needs to create a positive environment and be able to harness the positive forces in the people that he or she is trying to influence. There are many ways that are commonly preached as ways to earn respect so I’m going to take the liberty to preach some of my own as well. First and foremost. Be who you are, be true to yourself and be true to your beliefs and principles. Your uniqueness is what translates into making you an individual with a thought process. Be kind to people. Don’t just pretend to be concerned. Actually BE concerned. Anyone can detect fake or pretentious behavior and in a world that is increasingly becoming full of fakes being authentic has taken on a new meaning and is now an even more unique trait. When I meet somebody that strikes me as authentic it’s almost like a breath of fresh air that I just want to hold on to. One might forget the work that you did but if you were kind to someone it really is not going to be forgotten easily. One of the most common traits that you would find if you were to look across people that you respect in your life is reliability. No matter how big a genius or how good a person might be at what they do or how rich they are, the minute they are perceived to be unreliable there is no room left for respect and there begins their downfall. Let people have the faith in you that if there is a responsibility that you have taken on it will be seen to the finish. Walk the talk. If you can preach it then you better be ready to follow it and you’ll have the world following it with you. As silly as it may come across, if there is one thing that definitely makes me not respect a person then that is a loose tongue. Frivolous behavior can along with getting one into trouble every now and then, also, ensure that you do not earn the respect of people around you. Learn how to say no. A harsh truth of life remains that if you allow people to take you for granted they WILL take you for granted. Nobody will respect a pushover so as difficult as it may sound one needs to learn to say NO. It simply lets the world know that you respect yourself and to be able to command the respect of others you need to start with yourself first. And last but obviously not the least. Give respect to others. As someone I respect greatly said to me recently “I want to be able to leave footprints in the mud”. In order to be able to make a difference and leave those footprints behind one needs to be a good leader and have their opinion respected and followed. Respect before money, if earned will turn you into an unstoppable force and there will be nothing that will hinder you from flourishing forever. You will be rich in every sense of the word and have accumulated some real wealth.